When you are working so hard to eat healthy and all you want is chocolate, yup, that’s me. “I want chocolate and I want chocolate right now, everyone out of my way!” That’s basically what lead to me making the latest batch chocolate chip muffins. 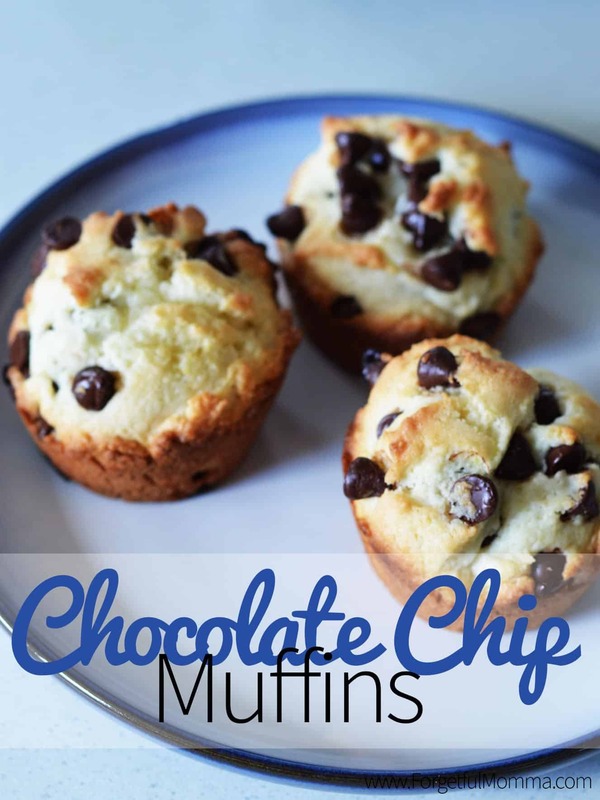 I also have a delicious coffee chocolate chip muffin recipe, but this muffin recipe is my favorite! 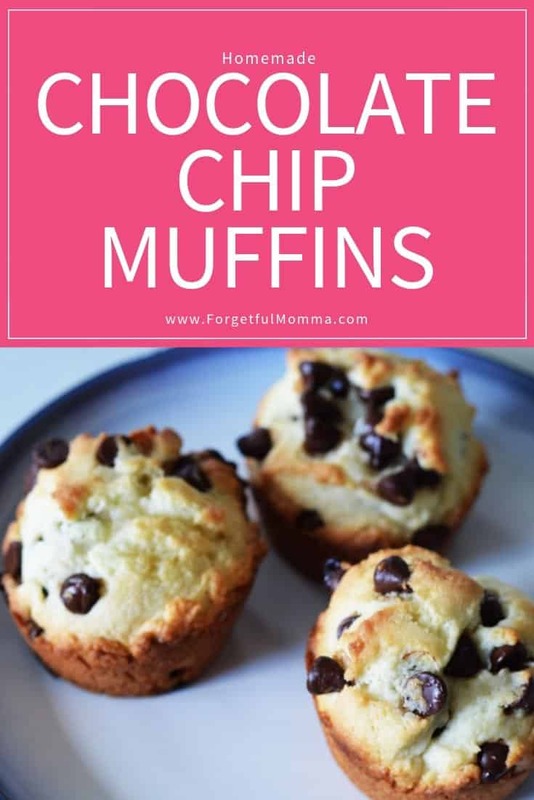 If you are in the mood for some other snack, or maybe you think supper before snacking is a good idea, you can check out some of the great ones in my recipe box, where you’ll also find these chocolate chip muffins for later. 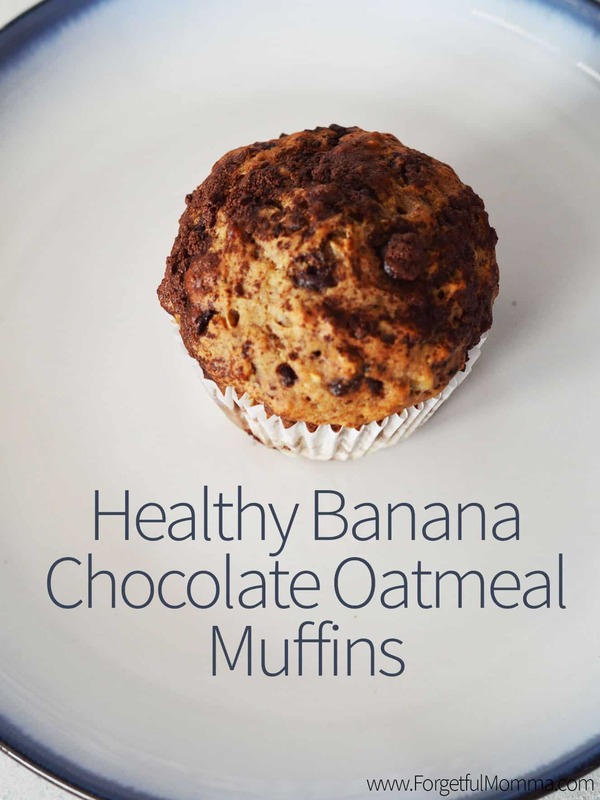 This muffin recipe is super simple to make, making it perfect for helping hands. The simple version of this recipe is: Add all ingredients together, minus the chocolate chips and mix well. I like to cream together my oil and sugar, then add in eggs and mix that together for at least a minute before continuing to add the remain ingredients. The batter is very thick. 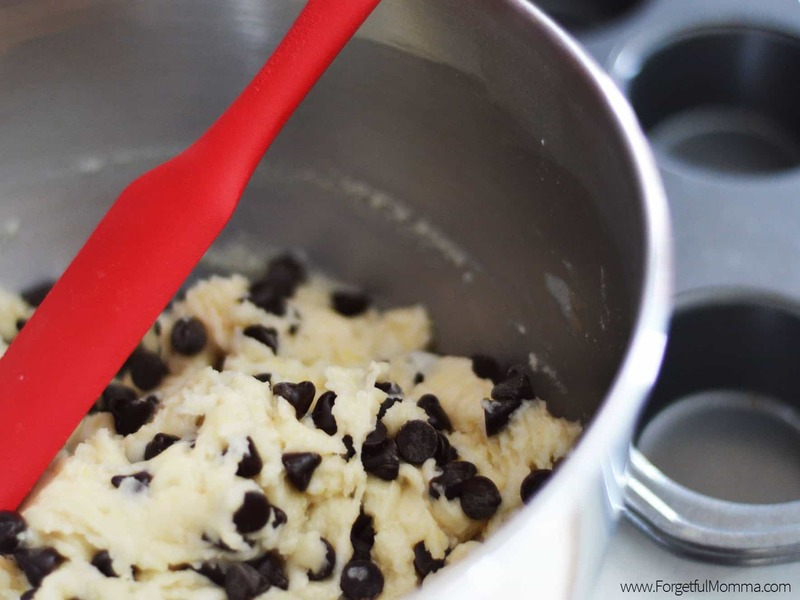 Once mixed thoroughly, fold in your chocolate chips. 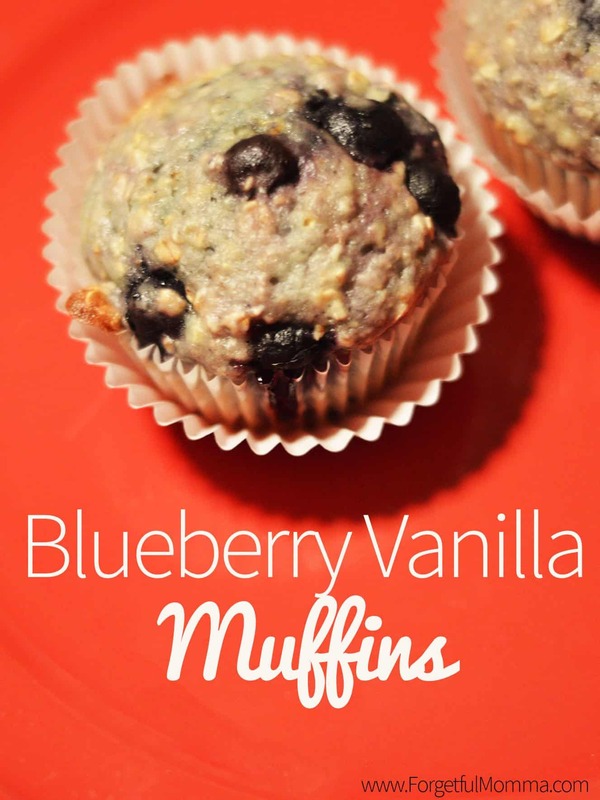 Scoop your batter into well grease muffin tins, or use cupcake liners. Bake at 400 for 15-20 minutes. My muffins below were in for 15 minutes. 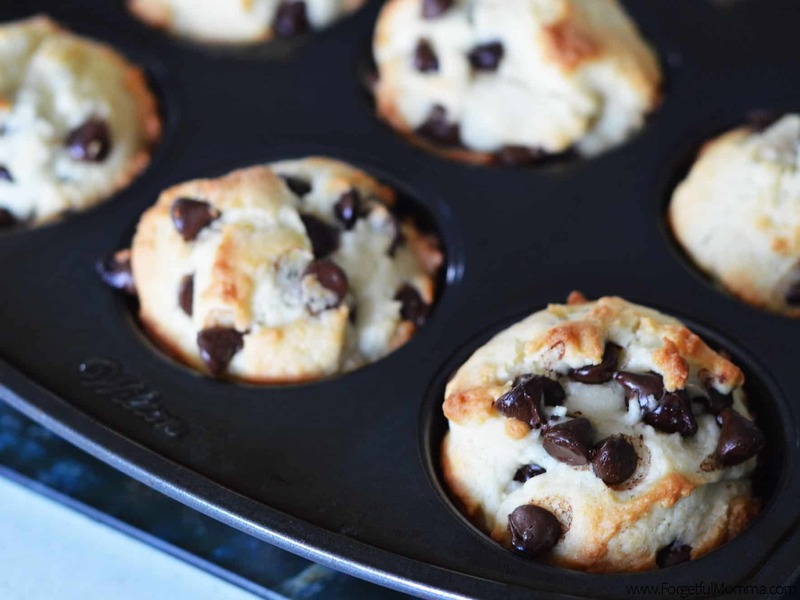 These beautiful, tasty chocolate chip muffins popped out of the muffin tin easily. And popped into waiting hands and mouths just as easily. *I make this recipe two different ways. I like to sometimes use unsweetened apple sauce in place of the oil. It makes them slightly heavier, and healthier. My Hubby will not eat them if I used applesauce, but my kids and I still love them. I like to cream together my butter and sugar, then add in eggs and mix that together for at least a minute before continuing to add the remain ingredients. The batter is very thick. Once mixed thoroughly, fold in your chocolate chips. 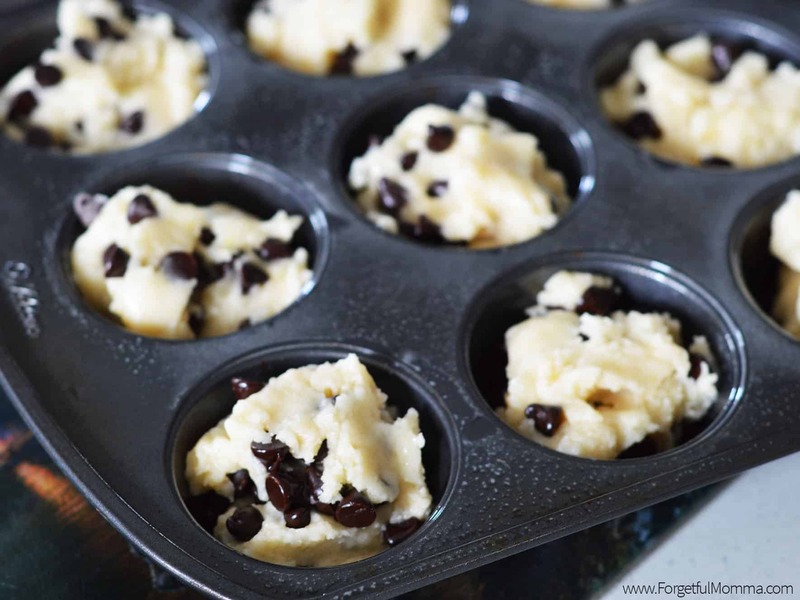 Scoop your batter into well grease muffin tins, or use cupcake liners. Previous Post: « How Your Garden Grows – Berenstain Bears Grow-It! You say something about creaming the sugar and butter together, but the recipe doesn’t call for butter. Am I overlooking it or something? Oh no! Sorry! I fixed it, I meant oil. I normally use butter in recipes, can you tell? Hope you enjoy them! These look yummy! My daughter is 10 and loves to bake so I’ll get her to make them. We will really enjoy this very special muffin! Hope you are having a great week and thanks so much for sharing with us at Full Plate Thursday.